Q1. If my Marketplace application is returned to me saying that I may qualify for my state’s newly expanded Medicaid program, what do I need to know about Medicaid coverage? A. Traditional Medicaid has a coverage package that includes the benefits and conditions outlined in a given state’s Medicaid state plan. The state plan is a written contract that establishes how Medicaid works in a state, and includes rules for such topics as provider qualifications, who is eligible, what benefits are included, and the amount, duration and scope of those benefits. Each State submits its state plan to the federal Centers for Medicare and Medicaid Services (CMS) for approval. Under the Affordable Care Act (ACA), states who choose to expand their Medicaid coverage must establish an “alternative benefit plan” for the new expansion Medicaid population. Even before the ACA, states had the ability to develop Alternative Benefit Plans (ABPs) that would provide different kinds of Medicaid coverage plans to particular groups of people, or people who live in particular geographic areas of the state. There are some categories of people, however, that are exempted from being placed in an ABP. These include individuals who are “medically frail.” Part of the reasoning behind the medically frail exemption is that people who qualify as medically frail may need the benefit of full state plan coverage, and should not be placed into ABPs which could offer less than the amount, duration and scope of benefits available under the state’s traditional Medicaid state plan coverage. Q2. What does it mean to be “medically frail”? A. Federal law gives individual states a lot of discretion to define what it means to be “medically frail or otherwise an individual with special medical needs,” but it does establish a floor of individuals that must be covered. Medically frail persons include children with serious emotional disturbances, children in certain other circumstances such as those in foster care or receiving adoption assistance, individuals with disabling mental disorders, individuals with serious and complex medical conditions, and individuals with physical or mental disabilities that significantly impair their ability to perform one or more activities of daily living. “Activities of daily living” are common tasks that people perform as part of their day and include things like eating, dressing, bathing, walking and transferring, and hygiene. In July 2013, the federal government made some additional rules concerning ABPs and also expanded the definition of “medically frail,” notably including individuals with chronic substance use disorders. The medically frail definition, in itself, does not capture all individuals who may need full state plan Medicaid coverage, but this exemption category is probably the one that is most broadly relevant to people with disabilities who may qualify for expansion Medicaid. Q3. How does qualifying for a “medically frail status” help me? A. States that choose to expand their Medicaid program under the ACA can choose an ABP for the expansion Medicaid population that is equal to their full state plan Medicaid coverage, or is different. If you are eligible for expansion Medicaid in a state that offers the exact same benefits under the exact same terms, including Long-Term Services and Supports such as home and community-based services and nursing facility care, in its ABP expansion coverage as in its state plan Medicaid coverage, then whether a person is medically frail will make no difference regarding his or her benefit package. As of the date of this fact sheet, most states with an ABP that has been approved by CMS are offering an ABP that is equal to what is offered under the state plan to its traditional Medicaid population. Many states have chosen to “align” the coverage benefits for all Medicaid recipients, including the expansion population, because it is administratively simpler to work with identical packages. In addition, the federal government requires states that offer a different ABP to develop a process to identify medically frail individuals in the expansion group because under longstanding federal law, medically frail individuals can voluntarily choose to take an ABP, but cannot be made to do so. An identification process is not needed if the state’s ABP is equal to its state plan Medicaid coverage. If you live in a state such as Arkansas or West Virginia that is offering an expansion Medicaid ABP that differs from its state Medicaid coverage,1 then you have a choice that is not available to those in the expansion population that do not qualify as medically frail. As someone who may be newly eligible for expansion Medicaid, you only have to meet the less stringent requirements of the new modified adjusted gross income test rules instead of the traditional Medicaid eligibility rules that require fitting in disability categories and usually include asset tests. But the fact that you may have disabilities or medical conditions that may allow you to fit in the “medically frail” category means that you are also eligible to receive traditional state plan healthcare coverage through the ABP. In other words, if you are identified as medically frail, you can choose to have a Medicaid ABP that is defined using the traditional state Medicaid plan instead of the Medicaid ABP package. Q4. If I qualify as medically frail, is it always better to choose an ABP that is defined by the full Medicaid state plan? A. The ACA provides some very important protections to expansion Medicaid ABPs. First of all, ABPs must include coverage of the ten “essential health benefit” (EHB) categories that are also required of Marketplace and state exchange plans. A full range of preventive tests within the EHB categories must be provided without cost sharing. ABPs must also be compliant with the Mental Health Parity and Addiction Equity Act.2 In addition, all children under 21, medically frail or not, who are enrolled in an ABP must receive “Early and Periodic Screening, Diagnostic and Treatment (EPSDT), including pediatric oral and vision services. ABPs must also offer family planning services and supplies, federally qualified health clinic and rural health clinic services, and the assurance of non-emergency medical transportation. These are significant protections, and you cannot automatically assume that your state’s traditional Medicaid coverage package is better than its Medicaid expansion coverage package. For example, a state Medicaid plan may have longstanding limitations on when, how, and for how long services such as physical therapy are available when the treatment purpose is purely to avoid pain and reduced functional ability. It is possible that the same state, which has to meet EHB requirements in setting its ABP package, could choose to establish a new definition of habilitation that requires habilitation services to be no less restrictive in amount, duration and scope than the comparable and more well-known area of rehabilitation services.3 Rehabilitation and Habilitation Services and Devices is a required EHB category. At the same time, a generous habilitation definition will not necessarily encompass a very specific need for expensive and individualized durable medical equipment such as power wheelchairs, for example. Substance use disorder treatment is yet another area where a state’s expansion ABP, which must meet EHB requirements including the category of mental health and substance use disorder, could offer significantly greater coverage than that state’s traditional Medicaid state plan. Ultimately, you need to prioritize your own health care needs and evaluate the particular benefits that are offered under the Medicaid state plan and under the ABP Evidence of Coverage document, which may be difficult if your state has not yet chosen its ABP benchmark plan or submitted its ABP state plan amendment. You need to look carefully at your ABP coverage choices for the particular services and treatments that you anticipate needing. This applies equally if you are a Medicaid enrollee who does not qualify through Medicaid expansion, but who is given the opportunity to voluntarily choose enrollment in an ABP. This also applies in a state like Kentucky, where the state’s federally-approved ABP will be offered to both its expansion Medicaid population and its traditional Medicaid population, and has both improvements (e.g., elimination of monthly outpatient prescription drug limit) and new limitations (e.g., annual visit limits on physical therapy) on the Medicaid benefits that were offered to the traditional Medicaid population. Any state that offers Medicaid ABP benefit packages that differ from their full state plan Medicaid package is required to provide assistance and advice to medically frail individuals, to assist them to make an informed choice. Take advantage of any individualized counseling that is available to you. Q5. I have a fluctuating income and think that over time I may wind up having to jump back and forth between eligibility for Medicaid under the new modified adjusted income rules and eligibility for purchasing private insurance in the Marketplace with subsidies. Will this have an impact on my choice of an expansion ABP or an ABP that is defined in terms of the full Medicaid state plan? Commercial insurance plans are the underlying basis for ABPs, just as they are for Marketplace insurance, and they share EHB and MHPAEA protections in common. Since you anticipate “churning” between public and private insurance eligibility, you should consider whether choosing an ABP with essential health benefits may lead to greater provider and treatment continuity of care. While this is a secondary consideration compared to meeting your need for specific services and treatments in the first place, it is a factor to at least consider. Similarly, some of the managed care organizations operating in your state may contract with the state to offer Medicaid managed care services and also offer managed care products through the Marketplace. Maintaining membership in the same managed care organization, whether as a Medicaid enrollee or as a private member, may also serve to alleviate the breaks in care continuity that come with “churning” between public and private insurance. Talk to your state’s Medicaid agency to see if they can clarify your choices and offer additional assistance. Q6. If I need my non-generic prescriptions and treatment regimens to maintain a stable medical condition, how will this impact my choice of Medicaid coverage (expansion ABP or Medicaid state plan coverage)? A. Under federal rules, ABPs must meet the prescription drug standards that apply through EHB protections, and not the more specific Medicaid drug coverage protections. Generally speaking, states can provide coverage for fewer drugs under an expansion Medicaid ABP and permit the use of utilization management techniques and quantitative limits that are common under private insurance such as the plans offered on the Marketplace. Traditional Medicaid rules have special protections that address such topics as the scope of drug coverage, when utilization management is permitted, and an appeals process to gain access to medically necessary drugs that fall outside of Medicaid coverage. A state could choose, on its own, to broaden prescription drug coverage under its expansion ABP, but is not compelled to do so. If you qualify as medically frail and choose coverage under an expansion ABP that is defined in accordance with the state’s full Medicaid state plan, then you should have access to the prescription drug coverage of traditional Medicaid. If a state’s expansion ABP prescription drug coverage does not align with its traditional Medicaid plan prescription drug coverage, you may want to consider the impact of the expansion ABP drug coverage on your condition, including an understanding of the possibly alternative procedures the expansion ABP has in place to gain access to clinically appropriate drugs. Q7. Can cost-shares or premium payments be applied under Medicaid, whether I choose the expansion Medicaid ABP or the state plan ABP that I would qualify for under the medically frail exemption? Q8. Are there any other traditional Medicaid rules, such as estate recovery rules, that can be avoided by choosing expansion Medicaid ABP coverage? A. Under certain conditions, Medicaid allows state Medicaid agencies to recover Medicaid dollars spent providing healthcare, and Long-Term Services and Supports (LTSS) in particular, to an individual from that individual’s estate after death. These various recovery rules, which also include the ability to place a lien on any real property owned by a Medicaid recipient and to recover assets that the Medicaid recipient transferred to another individual, are very complex. The creation of many new Medicaid recipients through Medicaid expansion raised the question of whether states could equally apply Medicaid recovery rules to the new expansion Medicaid population. Recent federal policy has clarified that, for the most part, estate recovery rules will apply to Medicaid expansion individuals who receive coverage for LTSS. Since the potential for estate recover may discourage individuals from enrolling in the Medicaid expansion, the federal administration is working on finding ways for avoid the operation of estate recovery rules when expansion Medicaid recipients are receiving healthcare services other than LTSS. Please contact your state’s Medicaid agency if you have additional specific questions in this area. Q9. What are some examples of “medically frail” health conditions? A. While federal rules have a baseline description of individuals who must be classified as medically frail, the rules also give states quite a lot of discretion to specifically define “medically frail.” If you have a question about a particular health condition or functional impairment and your state is choosing an ABP that does not align with its Medicaid state plan, you should check with your state’s Medicaid agency as they finalize a definition of medically frail. Along with defining medically frail in non-alignment states, states that use ABPs must also develop a process for ensuring that medically frail individuals are identified so that they can exercise their choice to be in an ABP with essential health benefits or to receive the state’s traditional Medicaid coverage package. For the sake of illustration, it is useful to look at the examples provided by Iowa Medicaid in its November 2013 final definition5 of medically frail which emphasized medical diagnoses and degrees of severity. For example, the definition specifies that individuals diagnosed with “psychotic disorder; schizophrenia; schizoaffective disorder; major depression; bipolar disorder; delusional disorder; or obsessive-compulsive disorder” will be considered as having disabling mental disorders. Individuals with a chronic substance use disorder need to not only have a diagnosis of substance use disorder, they must also meet multiple criteria established under the Diagnostic and Statistical Manual of Mental Health Manual V Severity Scale or have a current condition that meets the Medically-Monitored or Medically-Managed Intensive Inpatient criteria of the American Society of Addiction Medicine criteria. Iowa Medicaid provides examples of serious and complex medical conditions as including traumatic brain injury, epilepsy, cerebral palsy, and ventilator dependency. Examples of physical disabilities include multiple sclerosis, quadriplegia, and paraplegia, while the category of developmental disabilities includes autism, epilepsy, cerebral palsy, and mental retardation. This example at least gives you some idea of the kind of medical evidence that you may need to provide to show that you fall within your state’s definition of medical frailty, or to potentially appeal a denial through the state Medicaid agency or fair hearing process. Q10. Does a medically frail status make any difference to the insurance that I can get through the Marketplace? A. No, the medically frail definition is only applicable in a Medicaid context. However, a few states have chosen to expand Medicaid by using Medicaid funds as premium assistance for individuals who newly qualify under the expansion criteria. 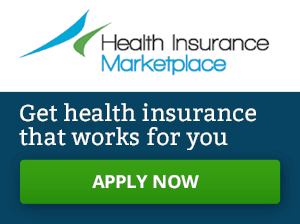 Those individuals will then enroll in a Qualified Health Plan sold through the Marketplace. Arkansas and Iowa are two states that are choosing this method of Medicaid expansion, and as a result, individuals in those states who meet the definition of medically frail will be given a choice of benefit packages through the state’s Medicaid program, one of which will be state plan Medicaid. Many states engaging in Medicaid expansion have not yet received approval of their proposed ABP. Arkansas and West Virginia are in this group. CMS has not set an absolute deadline for states to have a federally-approved ABP. See Mental Health Parity Fact Sheet. See Rehabilitation, Habilitation and Medical Devices Fact Sheet. New Mexico and New Jersey do not yet have a federally-approved ABP. As of the date of this fact sheet, CMS had not yet approved Iowa’s definition or its ABP.